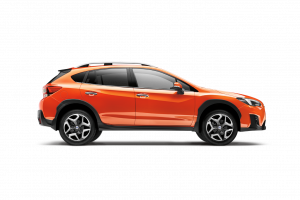 Compare SUVs from Holden, Honda, Hyundai, Mazda, Mitsubishi, Nissan, Subaru and Toyota on factors including driving experience, point of sale service, after sales service, reliability, value for money, car servicing and overall satisfaction. Holden shares the top honours with Mazda for customer satisfaction in the competitive SUV market, with both manufacturers scoring five stars for point of sale service, reliability and overall satisfaction. Both also scored five stars in other areas, but there was no separating the two overall. Finding a car that you can easily picture yourself in the driver’s seat of can be a tough gig, with the Australian car market as competitive as ever. With the variety on offer, it often becomes decision after decision, which can be a stressful time for many. How and where we drive has become almost as big a factor as what we drive, with small cars rising in popularity due to reduced running costs, while larger 4WDs and utes remain a popular option for those who like to get away on the weekends. But SUVs are now the go-to option for many Aussie families, finding the middle ground between fuel-efficient sedans and spacious 4WDs. Picking a new car for yourself can be hard enough, but finding the right one for your family adds an extra element to the decision-making process. 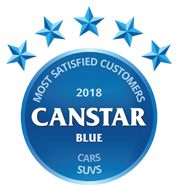 Fortunately, Canstar Blue is here to offer some guidance as we have surveyed hundreds of SUV owners across the country to find out about their experiences with their new wheels, meaning you can get a good idea of how several major brands stack up before you head to the dealers. Eight major manufacturers feature in our 2018 SUV ratings, but Aussie motorists couldn’t separate two of them at the top. Holden and Mazda take out the top prize, with both scoring five stars for overall satisfaction, as well as reliability and point of sale service. Holden also earned top marks for car servicing, while Mazda couldn’t be beaten on driving experience. Honda, Hyundai, Mitsubishi and Subaru all scored four stars overall, with Honda and Hyundai recording five stars in selected categories. Nissan and Toyota round out the results with three stars for overall satisfaction, with a mix of three and four stars across each category. If you have your heart set on a new SUV, it’s worth keeping these ratings in mind as they reflect the real world experiences of hundreds of motorists who have already splashed out on their new motor and hit the highways. But it would be wise to do as much research as possible before diving in, given that Aussie motorists spend an average of almost $42,000 on new SUVs, our research found. SUVs are some of the most experience cars around, but they can also represent the best value for money – provided you find the right one for your needs and budget. To help you along the way, here is a guide to the eight brands in our review and what they offer SUV enthusiasts. 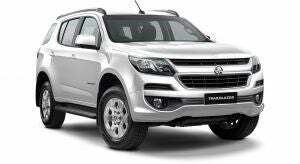 Offering a wide variety of SUVs, including the popular Trax and Captiva models, Holden has gained joint top spot with five stars for overall satisfaction, as well as being the only brand to score five stars for car servicing. Other results include five stars for reliability and point of sale service, as well as four stars for driving experience, after sale service and value for money. While the company offers a car size for all drivers, the SUV range has gained recent success, with a wide variety of five and seven seater models available. A new Captiva model is set to make an appearance in next year’s line-up. Mazda improved on last year’s results, claiming joint top spot. With five stars across multiple categories, it seems that Australian drivers enjoy the Japanese manufacturer’s CX series. 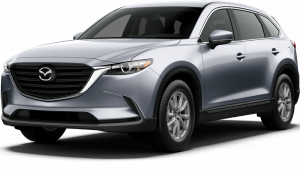 Offering a small, medium and large model SUV for all family types, Mazda seems to have the SUV market on its side, with five stars for reliability and point of sale service, as well as the only five star rating for driving experience. Other results include four stars for after sale service, value for money and car servicing. The CX-5 looks to get a facelift in 2019, with other models also slated for 2020. The only brand to score five stars for after sales service, Honda scored four stars for overall satisfaction, with its HR-V and CR-V models obviously winning over plenty of Australian drivers. Scoring four stars for reliability, point of sale service and car servicing, as well as three stars for driving experience and value for money, Honda still has room for improvement, but remains a popular option for SUV lovers. Honda is also set to bring back the Passport model, last produced in 2002. One of the company’s first SUVs for overseas markets, Honda looks to bring it back to bolster its SUV ranks, giving drivers more options to choose from. Offering a range of 5 and 7-seater SUVs, Hyundai has long been a popular option for those after a stylish SUV ride without breaking the bank. With four stars overall, Hyundai also managed to score five stars for reliability, as well as a value for money – the only brand to do so in the SUV category this year, which is a great achievement. Other results include four stars for driving experience, after sales service and vehicle servicing, as well as three stars for point of sale service. 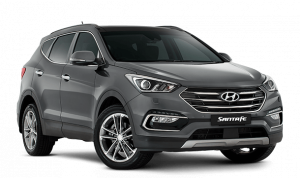 The large Sante Fe is set for a new model in the next year, with the Korean manufacturer set to increase its popularity within the Australian market. Gaining four stars for overall satisfaction, Mitsubishi offers a strong range of SUVs, including the popular Outlander, which has been in production since way back in 2001. 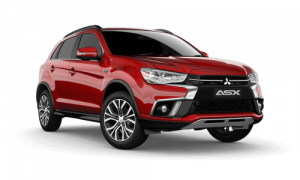 The other available models, including the smaller ASX and the mid-range Eclipse, have also been popular with Aussie drivers, with Mitsubishi offering a wide selection of extras and options. Scoring four stars for reliability, point of sale service, value for money and car servicing, Mitsubishi also scored three stars for driving experience and after sale service. Mitsubishi’s Drive for Growth plan has a range of new models coming out in the next three years, including new ASX and Eclipse releases. While most well-known for its sporty WRX models, Subaru’s SUV range has plenty of classics for drivers, with the longstanding Forester and Outback staples within the motoring community. With four stars for overall satisfaction, driving experience and reliability, Subaru has plenty of fans in the Australian market, with the newer XV SUV proving to be popular for those after a sleek model. For those not completely sold on Subaru, the Japanese manufacturer is set to release a new SUV in later 2018, with production already underway. With up to eight seats, the new Subaru Ascent may prove to be the next big thing. Subaru also got three stars for after sale service, point of sale service, value for money and servicing. 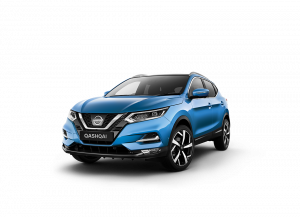 Another Japanese manufacturer with a strong SUV line-up, Nissan offers a wide variety of sizes for all family types and cargo loads. Drivers can cruise around in the smaller Juke or Qashqai models, or take the whole family on an adventure in the X-Trail or Pathfinder models. Scoring three stars for overall satisfaction, Nissan also rated four stars for reliability, value for money and car servicing, while only scoring three stars for driving experience, after sales service and point of sale service. 2019 will see a new model release for the Rogue line, this time with hybrid capabilities. Perhaps surprisingly, Toyota received just three stars for overall SUV satisfaction. 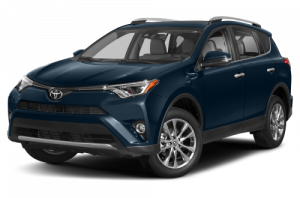 While offering one of the most popular SUV ranges available – in terms of sales volume – with the RAV4 and Kluger models combining with the more recent C-HR model, Toyota hasn’t been able to replicate last year’s successes. Toyota scored four stars for after sale service, reliability and car servicing, while only scoring three stars for driving experience, point of sale service and value for money. With no news as yet about future SUV models, drivers will have to stick to Toyota’s current range if after a SUV from the Japanese brand. Choosing a car will come down to personal preference, as well as what you’ll use it for. With many looking for something to escape in over the weekends while also being able to handle the city traffic, SUVs have become more popular over recent years, with manufacturers giving drivers plenty of options. In addition to the range of options available, drivers will also have to consider the extra costs associated with new car purchases, including stamp duties, insurance and registration costs digging into the bank account. Drivers should also take into account ongoing costs, such as services, as well as tyres and fuel efficiency before they shake hands at the dealership. In this regard, SUVs can be very costly. Our research found that lifestyle choices play a leading role in SUV purchase decisions, which differs from other types of cars where price and ongoing costs are the greatest concerns. Ultimately SUVs can be a worthwhile option for many, but it’s always recommended to shop around and test drive as many models as possible, as the investment in a new car shouldn’t be taken lightly. Canstar Blue surveyed 9,000 Australian adults across a range of categories to measure and track customer satisfaction, via ISO 26362 accredited research panels managed by Qualtrics. The outcomes reported are the results from customers within the survey group who have purchased a new SUV from a dealership in the last three years – in this case, 730 people.